Recruitment is a time-consuming process, and once you find the right candidate, you need to make sure they are swiftly and efficiently inducted into the organization. 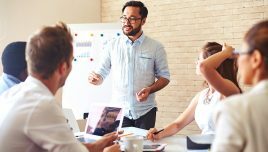 A poorly structured induction and Onboarding program can disenchant new employees, and impact the positive image of the organization. Why Move Your Current Facilitated Induction And Onboarding Program To A Blended/Fully Online Mode? Face-to-face, facilitated sessions have been the traditional approach to induct and onboard employees, as the human touch (learning directly from peers and seniors) helps them understand the organizational dynamics and its value proposition, quickly and effectively. However, this approach does have some inherent challenges. We will identify these aspects, and then see how these challenges can be mitigated if you adopt a blended or a fully online Induction and Onboarding approach. Besides, we will also see how an online approach provides several other value-adds that will help you keep your training current and in sync with your changing business needs. What Are Some Challenges Associated With The Traditional Approach? Having focused interactions with seniors and peers, and thereby learning the ropes is certainly the most effective approach to induct and onboard an employee. Inadequate time spent by managers. Despite the significance of induction and onboarding, All of us are strapped for time. Because of this, the focus on prioritizing this and allocating quality time for these programs often gets impacted. This challenge is true for all face-to-face training sessions. The message and its impact are heavily dependent on the presenter and can vary from person to person. Again, due to time constraints and changing priorities of managers, Induction and Onboarding programs tend to get delayed. Often, if the number of new employees is small, allocating time is a challenge, and it may be several weeks/months by the time this gets completed. From the employee’s perspective, there is a huge amount of information coming their way in the first few weeks of joining, and there is just not enough time to sift through, analyze, internalize, and apply. On the other hand, they do not have access to structured information once they are on the job and really need to access it. To What Extent Can These Challenges Be Offset By Adopting Online Training? And What Is The Optimal Approach? While online training offsets almost all the challenges inherent to facilitated or classroom training, it cannot replace the impact that human touch and interactions provide. In my assessment, the right approach to create an effective Induction and Onboarding program is blended delivery. In this approach, you can offer the learning resources online and retain the facilitated sessions to recap, reinforce, and have discussions (including sessions between new employees) on their impressions and experience so far. They can consume the information at their own pace and can go back to it when they need it. High engagement quotient and sticky learning experience. 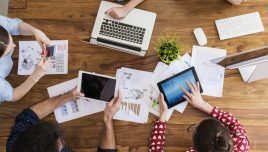 Today, these programs can be rendered on multiple devices (desktops, laptops, tablets, and smartphones) and feature trending approaches like microlearning, gamification, social learning, and so on. All these approaches are learner-centric, and ensure the learning experience is engaging and sticky. Provide consistent message, and the same program can be made available to a geographically spread-out workforce. Are cheaper options and can be completed in lesser time. What Learning Strategies Can Be Used To Create Effective Online Induction And Onboarding Programs? Portal-based solutions that feature Learning Paths. You can deliver the induction and onboarding program in mLearning format, giving the employees the flexibility to learn on the device of their choice. The bite-sized learning makes it easier for them to assimilate it at their own pace. 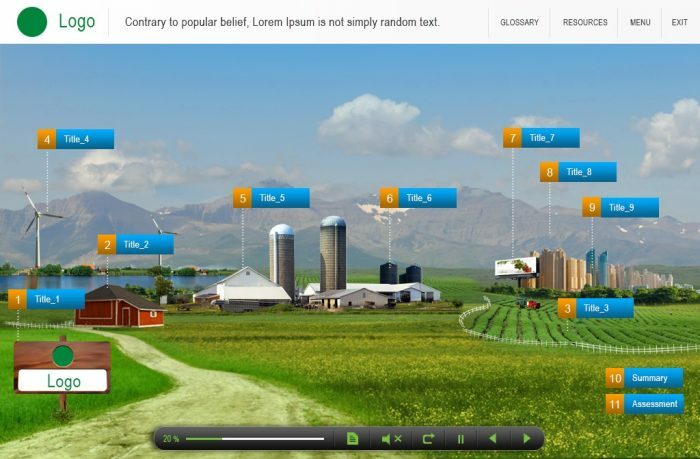 Additionally, using high-impact formats like videos, interactive videos, gamified quizzes, and so on keeps them engaged. Here are 5 examples that feature these approaches. 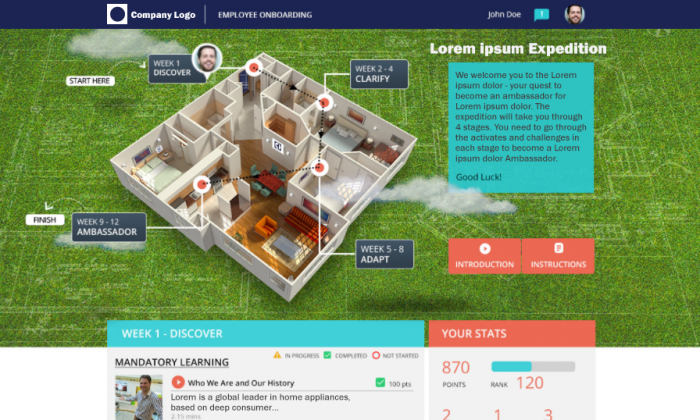 This example features an eLearning portal that is based on guided exploration, uses a responsive design, and is mobile friendly. It blends in components of microlearning, gamification, social learning, personalization, and so on to actively engage the learners (largely Millennials) and to prompt the learners to keep coming back. 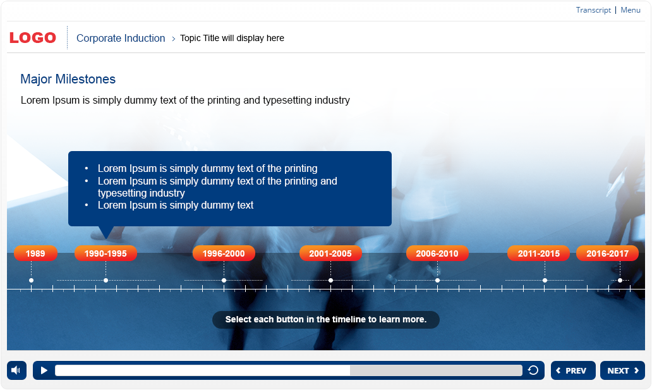 This example features industry-specific, high-impact visuals. The need was to train the company’s globally spread-out workforce from different geographies, different cultures, and of course, varied age groups. We felt a thread of specific, industry-based visuals would be the right approach to engage all employees despite this diversity. 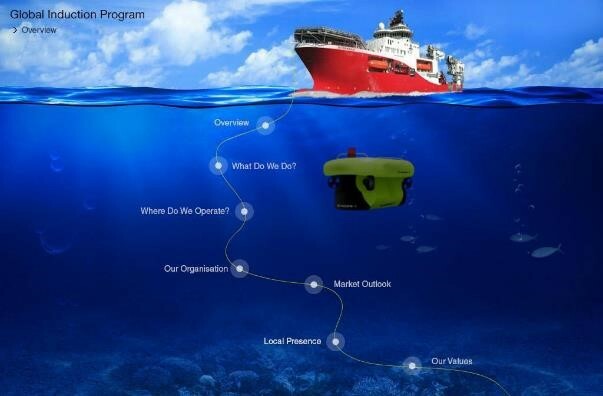 The theme of this course revolved around underwater oil and gas exploration, and learners progressed through the course as they dove deeper, getting to know more about the organization, its business processes, values, and so on. Built for an eCommerce company, this course takes the learners through a journey about the company, its business drivers, and leadership competencies. To cater to an audience that largely consisted of Millennials, it was designed to feature a colorful and responsive user experience, with a fashion theme to match the organization’s primary mission, which is to “Democratize Fashion”. It featured a visual menu that connected 3 modules (though they could be taken individually) and a fun gamified assessment at the end of each module. This example demonstrates an efficient way to design just-in-time learning aids that focused on introducing new employees to the company’s mission, processes, products, best practices, and marketing trends. The combination of a theme-based approach integrating intelligent visual treatment, videos, a responsive visual menu, and a gamified end-of-course assessment helped engage the learners and promote reinforcement. 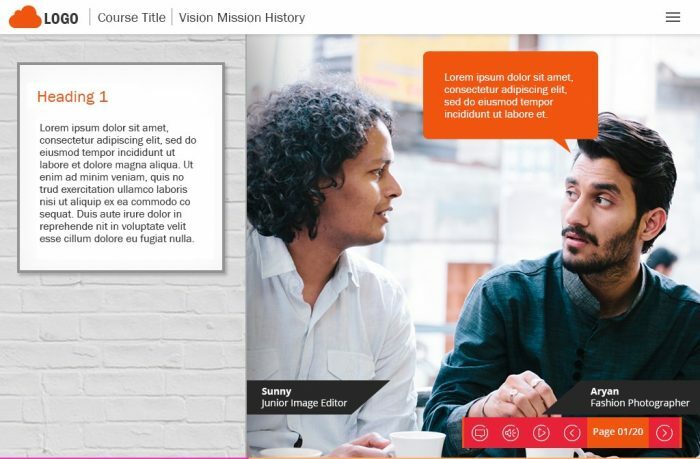 This example is a course that uses rich visuals with minimal onscreen content spread across 3 sections, features a visual menu, and has a narrative strategy. High-end graphics were used to adequately capture the attention of learners and to promote immersive learning that is not too content heavy. Take a look at this video that showcases all these examples in more depth. While it highlights the best features of these course designs, it also demonstrates how a blended or a fully online delivery can bring alive an induction and onboarding program, as opposed to a less engaging traditional ILT delivery. 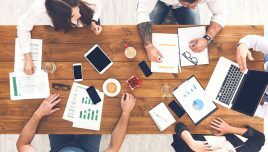 I hope this article gives you insights into how a blended or a fully online delivery format can mitigate the challenges inherent in ILT delivery and help create highly engaging induction and Onboarding programs. If you have any queries or need specific support, do contact me at apandey@eidesign.net.